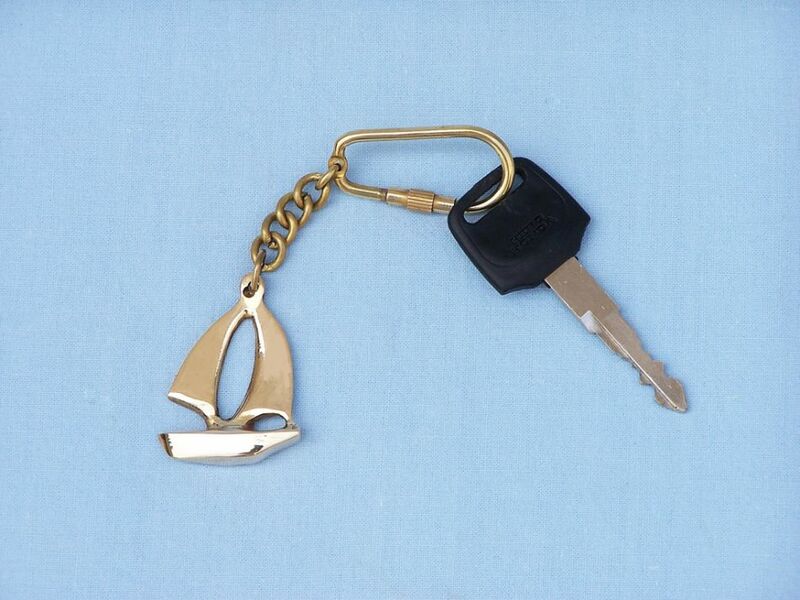 This nautical-themed key chain is both adorable and functional, featuring a sailing boat silhouette key fob. Crafted from solid brass, this key chain is as beautiful as it is durable and functional. A knurled knob allows you to easily and securely add or remove keys from the ring. These wonderful key chains make ideal gifts for friends, family, employees, clients, co-workers, and especially yourself. Remind yourself every day of the freedom of the open ocean, sailing out for a relaxing weekend stretched out on the sunny decks of your yacht. 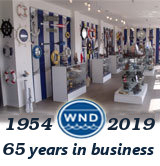 These fabulous nautical keychains, brass rings featuring a twin-sailed cruiser, will take your mind away from the weight of the world and transport you to your high seas escape. Originally termed jachts by the Dutch, meaning “to hunt,” these fast, nimble ships are true leisure vessels, the very sight of which inspires a swelling feeling of grandeur. 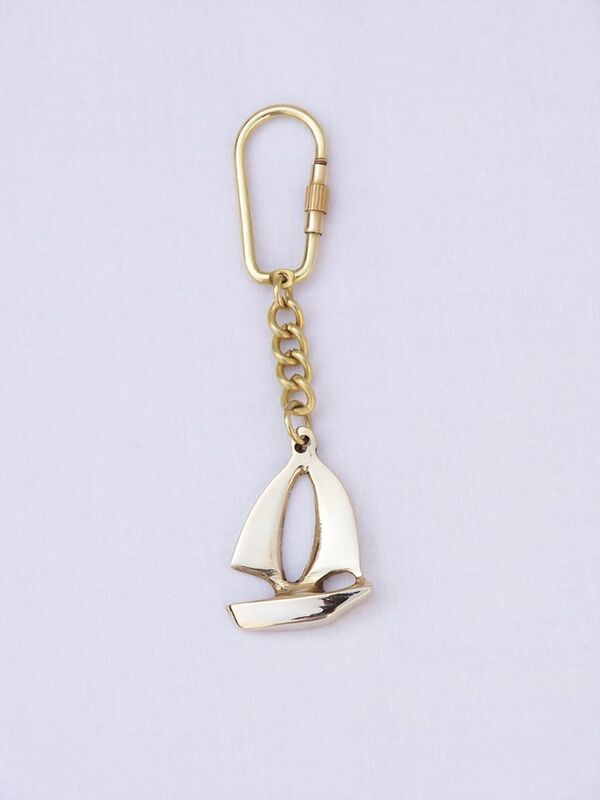 The design on your nautical keychain is reminiscent of a ship you would see on a bright morning gliding around Cape Cod, coasting through the Caribbean, or bobbing gently in the South Pacific coastal surf. 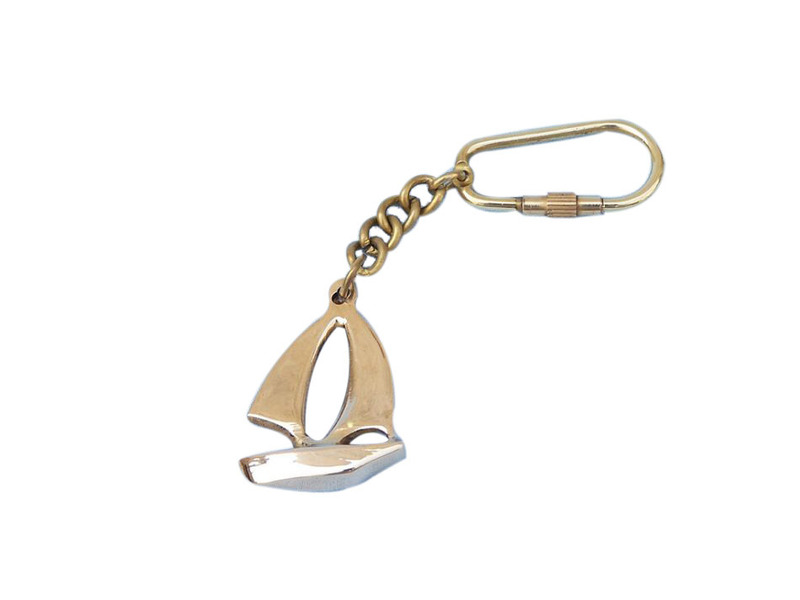 Perfect for the nautical enthusiast, or for someone with their very own yacht, these nautical keychains will bring to mind the beauty of sailing gracefully into the sunset. A beautiful charm from which to hang your keys, each of these nautical keychains is a little constant reminder that the wonders of the ocean are always out there, waiting to be discovered.